John Pascoe’s love affair with opera goes back to early childhood when he heard recordings of the tenor Mario Lanza. He first came under the spell of the soprano voice at the age of thirteen, when a school music teacher introduced him to recordings of Maria Callas and Joan Sutherland. A passion for the human voice and a profound admiration for singers and musicians has remained at the core of his work ever since. For thirty-plus years, Pascoe has directed and/or designed productions for many of the world’s major opera houses and has been closely associated with some of the greatest names of the operatic world, including the composer Gian Carlo Menotti, the late Dame Joan Sutherland, the legendary American soprano Renée Fleming and the great tenor, conductor and administrator Plàcido Domingo. His work as both director and designer has been consistently praised for its intelligence, its unwavering sense of style and for its fidelity to both score and text. Above: Barbara Frittoli and Ildar Abdrazakov in the 2012 revival of Don Giovanni for Washington National Opera. 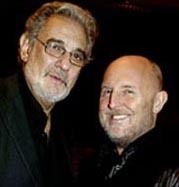 Left: With Plàcido Domingo. John Pascoe’s Royal Opera House debut in 1980 was as set designer for a production of Lucrezia Borgia* marking Dame Joan Sutherland’s thirtieth year at Covent Garden, London, and Il Teatro del Opera, Rome. He went on to work extensively with Sutherland, designing sets and costumes for Alcina for Australian Opera, and sets for Anna Bolena* in San Francisco, Chicago and Toronto. In 1988, he directed and designed Sutherland’s last new production at Covent Garden, Anna Bolena, and, in 1989, her farewell performances in the role of Norma at Costa Mesa, Los Angeles, and Detroit. After her death in 2010, his costumes for Anna Bolena were featured in a major exhibition celebrating her career at the Royal Opera House. 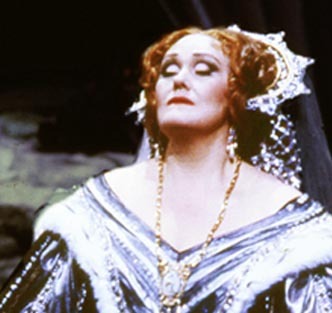 Dame Joan Sutherland in the 1986 Royal Opera House production of Anna Bolena (photo: Clive Barda). 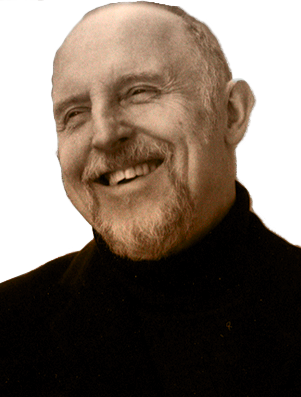 In 1986, Pascoe made his US directorial debut at the Spoleto Festival, USA, with a production of Rameau’s Platée, featuring the then unknown American soprano Renée Fleming. The two went on to form a unique bond which has led to many other projects, with Fleming acting as friend, inspiration, artistic collaborator and muse. In 2002 Pascoe designed new costumes for Fleming’s first Violetta at the Metropolitan Opera House, New York. In 2008, following many years’ discussion and sharing of ideas about the work, Fleming took the title role in Pascoe’s Lucrezia Borgia for Washington National Opera, with Vittorio Grigolo as Gennaro and Plàcido Domingo conducting. In 2011, the production was revived by San Francisco Opera, again with Renée Fleming in the title role, and in autumn 2013 a filmed version was released on DVD and BluRay. 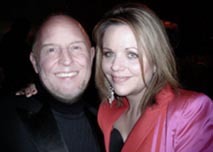 Left: With Renée Fleming, at the opening night of Lucrezia Borgia, Washington, 2008. 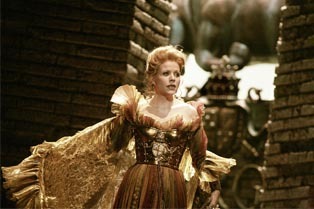 Below: Renée Fleming as Lucrezia in the 2008 Washington National Opera production (photo: Karin Cooper). In 1986 Pascoe designed a Royal Opera House production of Amahl and the Night Visitors at Sadler’s Wells to mark Menotti’s 75th birthday. He was later invited by the composer to create Platée for Spoleto USA. Many other productions followed, including in 2007 The Medium at Monte Carlo, Monaco. In 2011 he was commissioned by Spoleto USA’s General Director, Nigel Redden, to create a new production of the same work to mark the centenary of Menotti’s birth. In 2006, Pascoe directed and designed a ground-breaking production of Vivaldi’s Ercole su’l Termodonte* at Spoleto Italy, with the baroque specialist Alan Curtis conducting. The following year, the film version was chosen as ‘DVD of the Year’ in Musica e Dischi and received worldwide acclaim. The same year, also for Spoleto Italy, he directed and designed a new and highly successful production of Handel’s Ariodante,* again with Curtis conducting. 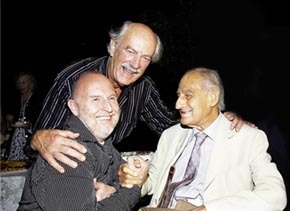 Above: with Gian Carlo Menotti (right) and Alan Curtis (centre),at the opening night of Ercole su’l Termodonte, Spoleto Italy 2006. 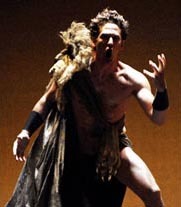 Left: Zachary Stains as Ercole, Spoleto Festival, Italy, 2006. 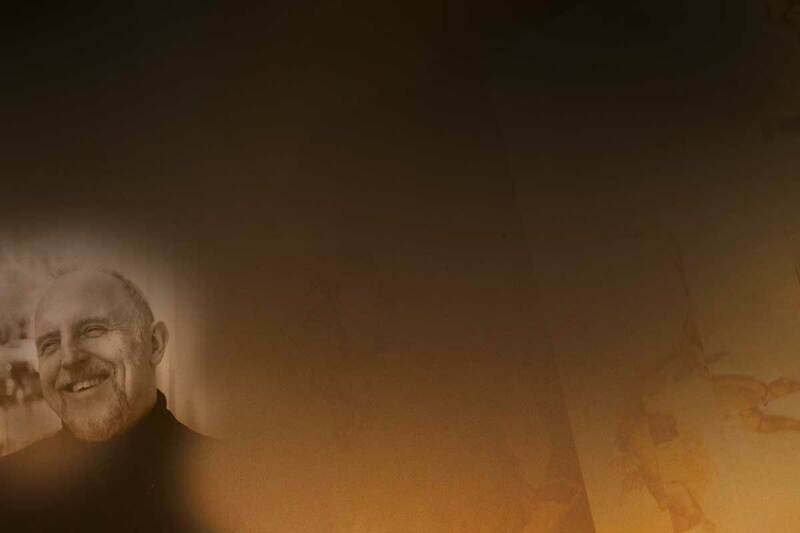 Since 2000 John Pascoe has worked on many occasions alongside the great tenor, conductor and administrator Plàcido Domingo. Their association began when he directed Handel’s Giulio Cesare for the Washington National Opera, using his award-winning sets from the Metropolitan Opera NY production (originally created by Pascoe for the English National Opera*). Following the success of Cesare, he was commissioned by Domingo to create two separate productions in Washington of Don Giovanni, a new Manon Lescaut, the world premiere of Democracy: An American Comedy, and finally Lucrezia Borgia featuring Renée Fleming and Vittorio Grigolo. 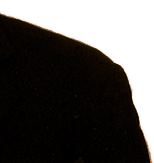 In Domingo Direttore D’Orchestra by Francesca Zardini (Allemandi 2010), Domingo named him as being among his top ten stage directors and described him as ‘an excellent collaborator’. Above: Patricia Racette and Kamen Chanev in Washington National Opera’s 2013 production of Manon Lescaut, commissioned by Plàcido Domingo (photo: Scott Suchman). 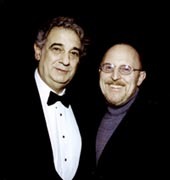 Left: With Plàcido Domingo at the opening night of Lucrezia Borgia 2008 (photo: Karin Cooper).